You are your mother’s caregiver. Up until this time, she’s been relatively independent, but since your Dad died she’s been on the decline: walking slower, having more difficulty navigating the house. She’s fallen a couple of times and frankly, you are getting worried. You speak to your spouse and children, and as a family decides the best thing for your mother is to move in. She’s happy enough with this decision and she’s happy to be living in your home. After all, she loves you, she loves your spouse and you kids are just the apple of her eye, but what she really wants is the life she had before. To that end, she complains about everything: how hot or cold the house is, how clean the house isn’t, what she’s given to eat. Makes for some “interesting” times as you, your family and your mother settle into this new living arrangement. Add to that, even in the best of times, your mother was never the easiest person in the world to get along. Now, with the move, the loss of your father, her new living arrangement and new schedule she’s forced to deal with, she’s being even more “challenging”. And let us not forget your job and your boss who, even though he’s trying to understand why you recently seem to be so tired, he doesn’t. He’s never been a caregiver. So, he has no clue what your life has now become. Despite the fact that your time is now taxed to the limit, you seem to be doing fine. At least, that’s what you tell yourself. Yes, you are exhausted but, you proudly say to yourself and anyone who’ll listen, that you are holding it all together. Then one day your seven-year-old daughter comes home and says her teacher wants you to contact her. You find out that the teacher wants you to chair a committee they’re in the process of creating designed to look at ways educational goals for the students can better be met. The teacher, you learn, thought of you first. Why? Because ever since your daughter entered the school, you’ve been the first one with your hand in the air whenever it came time to volunteer for things to improve the school and your daughter’s education. You think about it for a moment. Of course, you want to say yes. You’ll do anything you can for your child and her education. But how can you, now that your mother lives with you? You think of ways you can juggle everything and still keep your head above water, but you know deep down inside that if one more thing is put on your plate you are going to drown. You open your mouth. No is on your lips. Even though you’d love to be on that committee, you know you simply can’t. There’s just not enough of you to go around. You inhale but instead of saying “No”, you hear yourself saying “Yes”. As soon as you hear the word come out of your mouth your body reacts. Tightness in the belly, back of the neck aching. You find you’re breathing a little bit faster. Look at that, not even officially on the committee yet (you still have to be approved by the principal) and already you’re stressed out. Now, I want to be clear here. I’m not saying that any one of us should say No our caregiving responsibilities. Absolutely not! The health and well-being of the person we are caring for needs to always be paramount. After all, we’ve taken on the mantle of “caregiver” (and really, would we have it any other way?). What I’m talking about are those “extra” things: things we feel we “should” do, things that are hoisted upon us by others who may or may not realize what our caregiving lives are like, or things we take on because they are things we’d normally would take on prior to us becoming caregivers. So, the questions becomes . 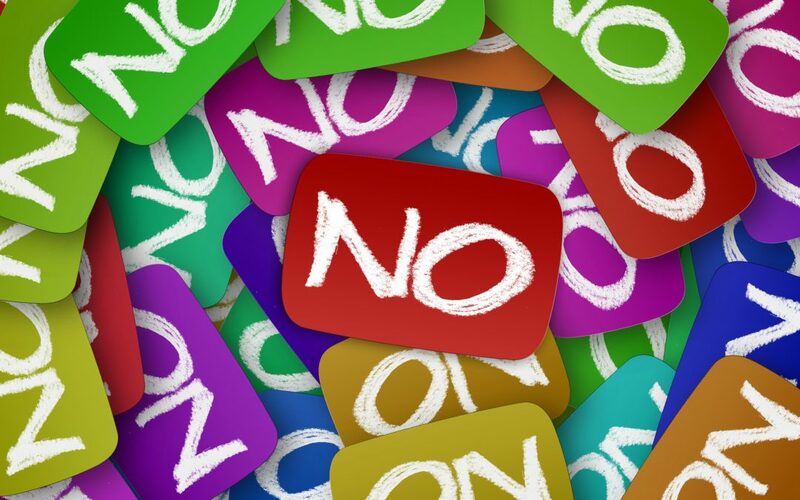 . .
Why do we shy away from saying No and why is saying No so important? We don’t want others to look upon us a stuck up, “stick-in-the-mud” kind of person. We think what’s being asked of us sounds like fun, and since we have so little, we “decide” to hop on board only to find that we feel even more exhausted. I actually found that fascinating when I first read it. We are hard-wired not to respond favorably to “No.” And don’t we experience that all the time? We say we can’t and people are taken aback. And, if we want to be truly honest with ourselves, don’t we respond the same way. Aren’t our tail-feathers are ruffled when someone says “No” to us? But as Dr. Sills tells in the same article. “No says, ‘This is who I am; this is what I value; this is what I will and will not do; this is how I will choose to act,’” and that’s why saying no is so important. Totally true. But we have to learn, if not for ourselves then for those around us. Imagine being around someone who says “Yes” all the time, then turns around and bites your head off for apparently no reason? So here is my suggestion – do a brief Google search on ways to say No. Really? That’s the best you can offer me you might be saying. Are you not going to give me a list of some easy steps to follow? No, actually I’m not. Why? Because when you go onto Google you will quickly find article after article, blog post after blog post, most of them containing lists showing how to do that very thing and really, is one more list really going to help? Now I could reprint all of them here, but are you honestly going to read them? And really who has time anyway? So, go onto Google and find the articles that resonate with you, look at what they say, follow their suggestions as you see fit and see what works best for you. Remember, you are the expert of your own situation. 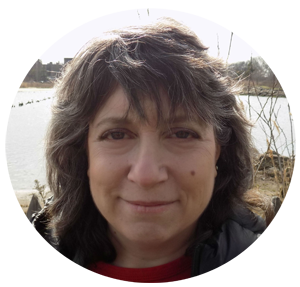 Karen Bromberg is the founder of Helpyouthru.com as well as a certified caregiving consultant. Check her out on Facebook. Feel free to join of FREE Facebook group. Simply click the green “Join” button on the top of the page. Feel free at staff@helpyouthru.com.